Stolen 848 from my son's home in Killeen Tex. 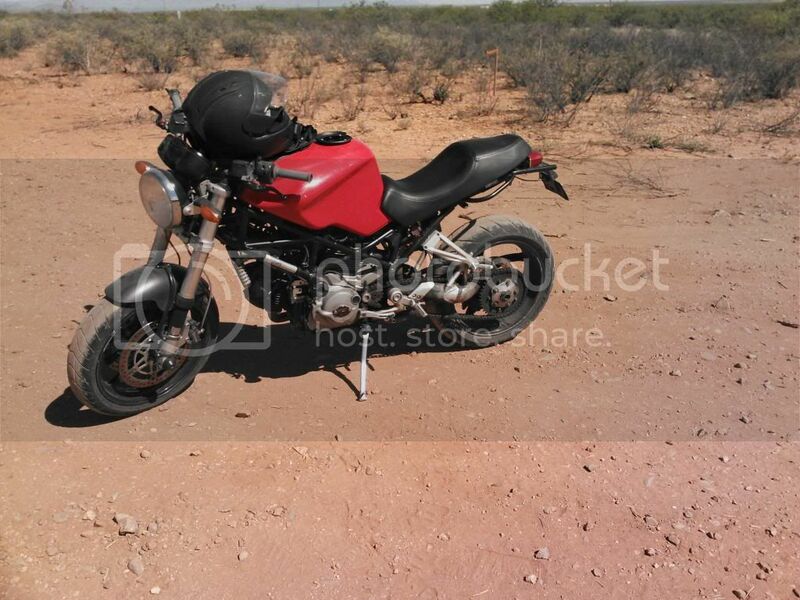 Forum > Moto Board > Stolen Motorcycles > Stolen 848 from my son's home in Killeen Tex. I went shopping for this bike with my son on his return from the "cat box" called Iraqe. It is one of a few known in Killeen. I have great faith in you all's eyes and ears, she's red, loud (guted silencers) and has a few scratches on left side. I know of you alls powers cause I hadnt been to DitR twenty minuts and my ragie M900 was known and I was befriended like a long lost friend. Re: Stolen 848 from my son's home in Killeen Tex. This bike might not be the nicest 848 in the world, but it rides great. The left side fairing has been broken and repaired at home. PM me for contact info, or contact your local PD to include the MPs (circumstances being what they are).